With a filmmaking career that began in the late 1970s, Don Coscarelli puts it all down on paper in the treasure trove that is his new 341 page book, "True Indie". I must admit, before I go any further with this review, that I was pretty much pre-disposed to love this tomb. I have been following Coscarelli's career since I was a young boy. Along the way having crisscrossed through his films, I've marveled at the ease with which this auteur moved seamlessly from genre to genre. Thankfully, all of this has been put down by the director himself to create a "tell all" that is insightful, illuminating, and worthy of being discussed with other great works like "The Kid Stays In The Picture", "You'll Never Eat Lunch In This Town Again" and "Rebel Without a Crew". "True Indie" is only predictable in that it follows the career arc of an artist. As one of the few truly independent voices in cinema, it is amazing that Coscarelli was never sucked up into the studio system. Sure, he dabbled but the director never went head long into that world, and it present it doesn't seem there's plans for him to direct Infinity War 8. "True Indie" takes us through the very early films of Coscarelli's career. The director/author even discusses films he submitted to festivals that I had no idea ever existed. My review, while revealing tidbits, is certainly not going to give away many of the things I had no idea even happened to Don Coscarelli long the way. Of course, Phantasm is covered and it's quite clear that Coscarelli began his filmmaking life as a very different kind of movie maker. With films like Jim, the World's Greatest and Kenny & Company, Coscarelli seemed to be on a course to make dramas and family films. He discusses the productions of these movies and how they ultimately failed to find audiences even though they had some big players behind them. As many people know, it was the thrill of seeing people scared while watching a scene of Kenny & Company, that Coscarelli first got the seed of an idea for the movie that would become Phantasm. This film would be a monster hit and spawn four more sequels, but it's pretty apparent by his career arc that Coscarelli didn't want to be pigeonholed as a horror (or any other kind of) director. Having made films for budgets of less than $500,000, Coscarelli would then make The Beastmaster for a reported $9 million. This is a film that I loved and saw several times in the movie theater. Sadly, with a domestic haul of $14 million the film wasn't seen as a hit even though it did create a couple of sequels. 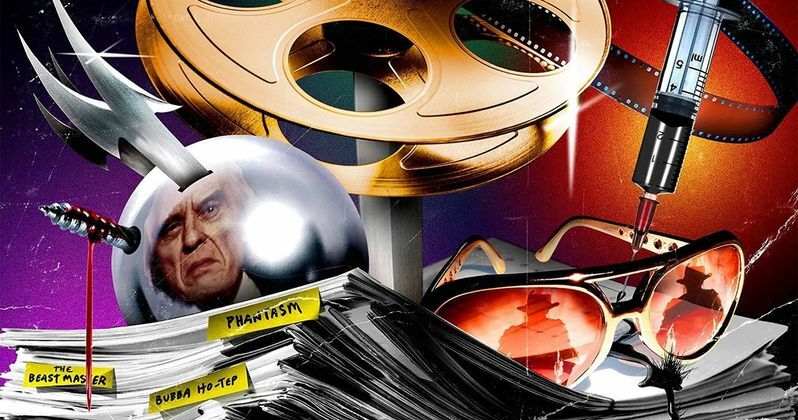 Coscarelli would venture back to the horror realm with Phantasm II. "True Indie" talks about the problems with that production, the main ones being how making the film on a studio's dime forced him to make some compromises that he would come to regret. Sadly, that film didn't catch on at the box office but that didn't stop Coscarelli from making Survival Quest next. In the book he talks about this and other productions. One of the most interesting nuggets was his ill-fated involvement in Silver Bullet. This film always seemed so well done. However, when you realize what ultimately caused Don Coscarelli to part company with the project, it's hard not to imagine how the material of Stephen King might have changed had he been allowed to put his special spin on it. After this there is much discussion about about the making of both Phantasm III: Lord of the Dead and Phantasm IV: Oblivion. I could do a deep dive into this but I will simply say that for the "Phans" that are perusing this review, you're definitely going to want to supplement the reading in "True Indie" with the Phantasm books written by Dustin MacNeil. From there the book moves into the next phase of Coscarelli's eclectic career. He details the production of Bubba Ho-Tep and also dishes (not in a tabloid way} about the reasons why he still hasn't made Bubba Nosferatu: Curse of the She-Vampires. Sadly, the reasons are both surprising and a tad disheartening. This prequel to the original film seems like a slam-dunk, and Coscarelli's sadness at not making it yet is palpable on the pages of "True Indie". Coscarelli then breaks down how he came to be part of the Masters of Horror series that aired on Showtime. Oftentimes, the genesis of a project ends up being more interesting than the project itself. In this case, Don Coscarelli's series offering Incident on and off a Mountain Road turns out to be both. A truly daring hour of television, Coscarelli explains how he had to readjust his "process" for this different medium. The book closes out with Coscarelli musing on John Dies at the End as well as taking stock of his career. It is amazing to think that Coscarelli is 64 and he's only made 13 films. His career seems so much more prolific than that. At the same time, "True Indie" does a great job of shedding light on why Coscarelli chose the projects he did. The best part? Coscarelli has no regrets and seems charged up to make more films as he enters what seem to be his twilight years. "True Indie" is an extremely engaging read. Coscarelli's writing style is fun, self-deprecating, and in service of the fans (and Phans) who has supported him throughout his career. The book straddles a nice line between being a book on independent filmmaking and a treasure trove of information for Coscarelli-philes. As I mentioned at the beginning of this review, I was predisposed to love this book. I have been a fan of Don Coscarelli's films forever and this book did not disappoint. At a time when some people seem to embrace mindless popcorn films, Coscarelli seems to have charted a different path. He's shown that you can make fun, entertaining films, while still having something to say. In the process he's stuck to his guns and showed why, while others may have sold out, Coscarelli has always been a true original... and a true indie. Thanks to everyone who has come out to the book tour!